Make yourself at home in one of the 31 air-conditioned rooms featuring flat-screen televisions. Complimentary wireless Internet access keeps you connected, and satellite programming is available for your entertainment. Private bathrooms with showers feature complimentary toiletries and hair dryers. Conveniences include phones, as well as desks and complimentary bottled water. Take time to pamper yourself with a visit to the full-service spa. You can take advantage of recreational amenities such as an outdoor pool, an indoor pool, and a fitness center. Additional features at this hotel include complimentary wireless Internet access and concierge services. Make yourself at home in one of the 140 air-conditioned rooms featuring LCD televisions. Rooms have private furnished balconies or patios. Complimentary wireless Internet access keeps you connected, and satellite programming is available for your entertainment. Private bathrooms with showers feature bidets and hair dryers. Enjoy recreation amenities such as bicycles to rent or take in the view from a rooftop terrace. Additional features at this hostel include complimentary wireless Internet access and barbecue grills. The hotel has 12 rooms, 8 of them are Double, one is Single, a Suite and two Junior Suites 60m away from the main house. . A lobby and a reception are available to guests. Amenities include a safe. Internet access is available in public areas. Gastronomic options offered by the hotel include a restaurant, a dining area and a bar. A garden is among the features contributing to a pleasant stay. A TV room is also among the amenities at the hotel. Guests travelling in their own vehicles can make use of the available parking spaces. Bicycles can be left in the bicycle storage area. Other services include a laundry. lastminute.com has a fantastic range of hotels in Agaete, with everything from cheap hotels to luxurious five star accommodation available. 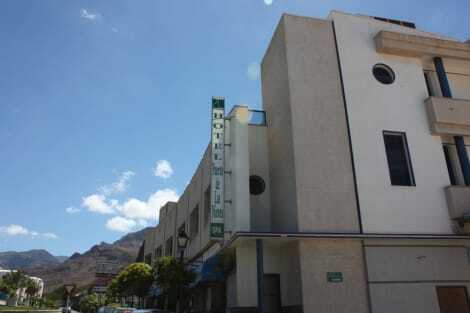 We like to live up to our last minute name so remember you can book any one of our excellent Agaete hotels up until midnight and stay the same night.